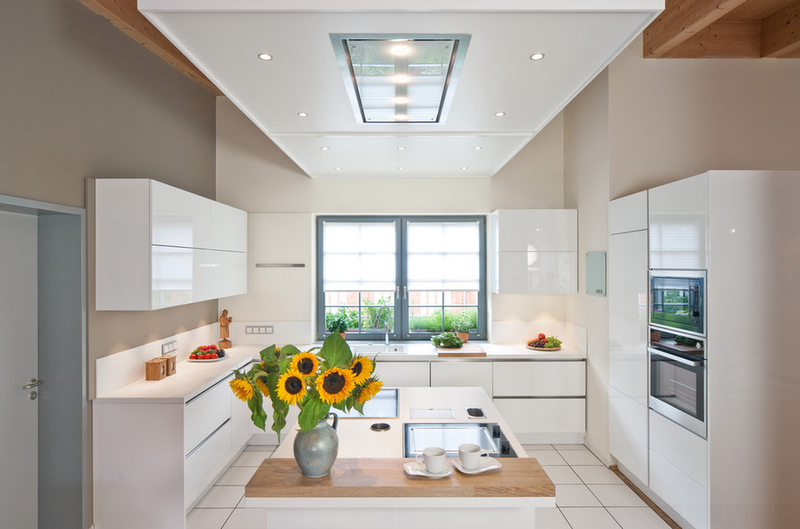 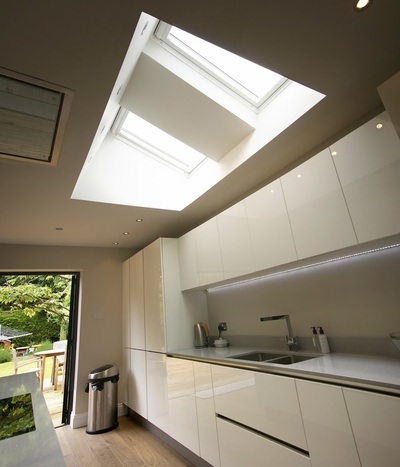 White handleless kitchens are by far the most popular colour choice for the TRUE handleless style of kitchen. 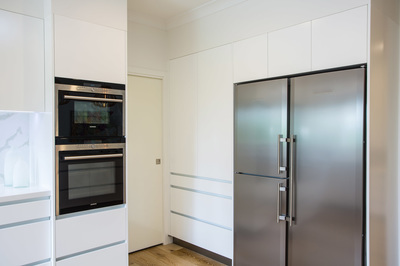 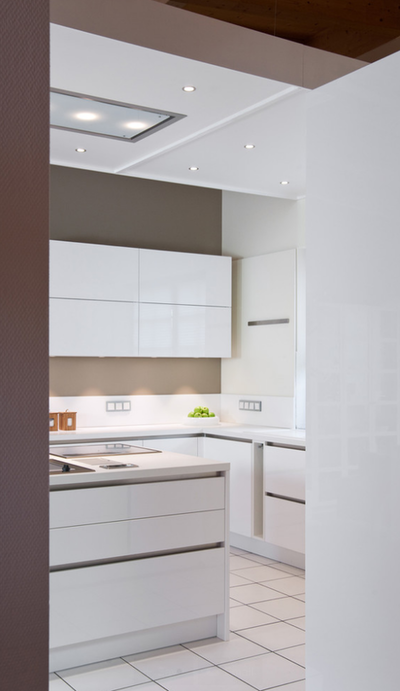 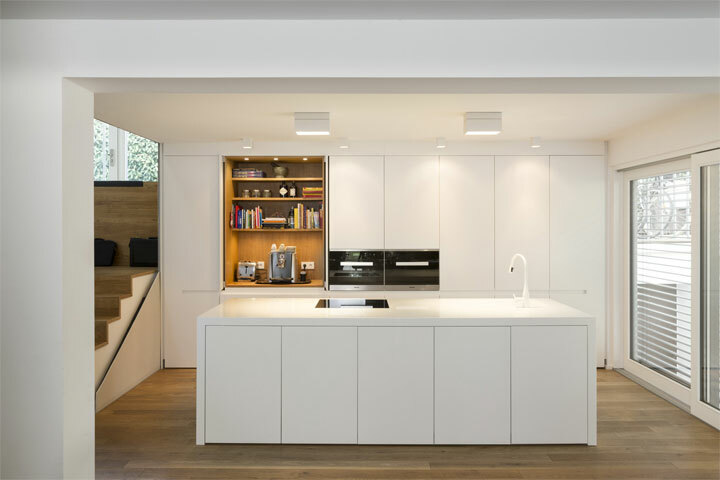 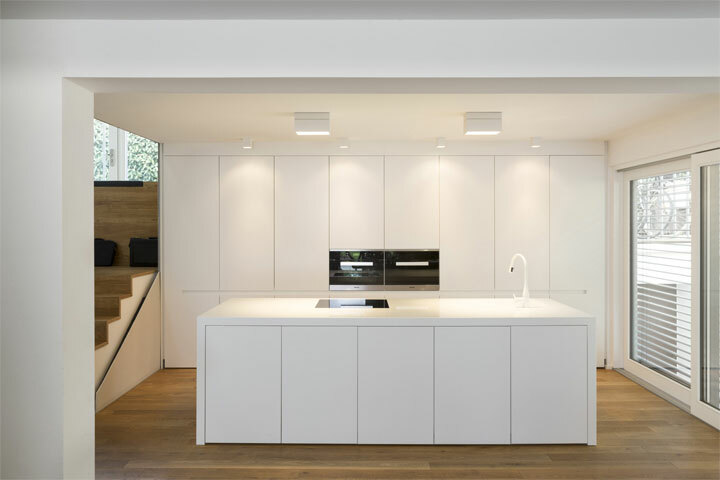 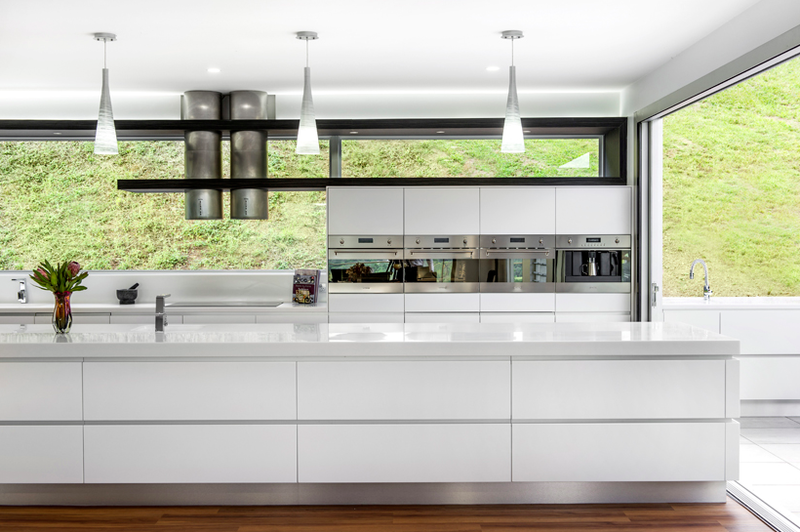 Using the white handleless kitchen as the main background colour, you can easily introduce colour into either the cladding panels, glass splash back or the worktop. White handleless kitchen with white quarts on main run and Grey quartz on island. 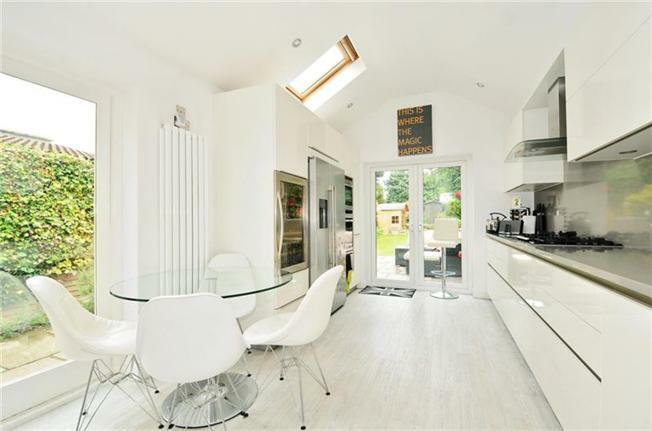 Here is another excellent example of a white handleless kitchen providing the background base colour and allowing the oak flooring to provide the warmth of colour into the room. 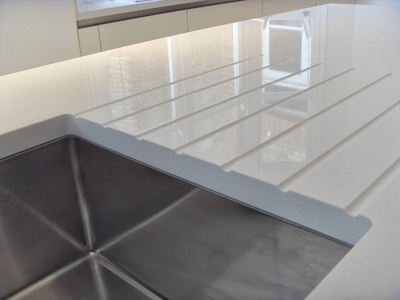 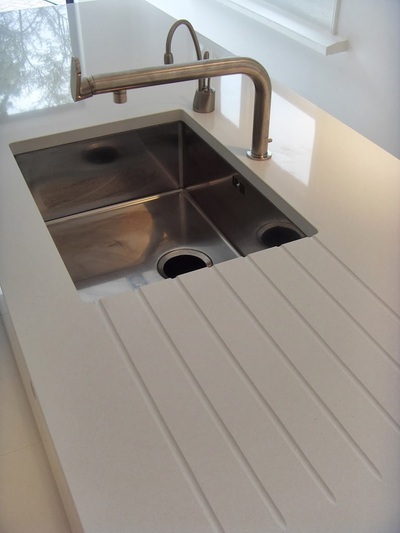 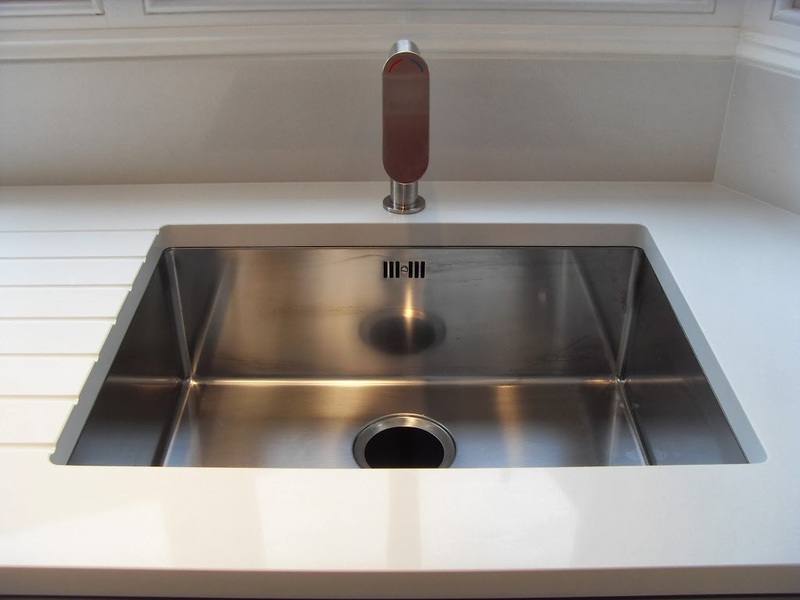 By using a light grey quartz worktop this blends perfectly with the aluminium handle rail and matching plinth. 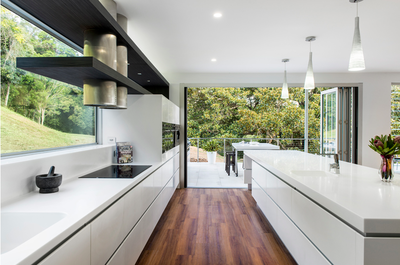 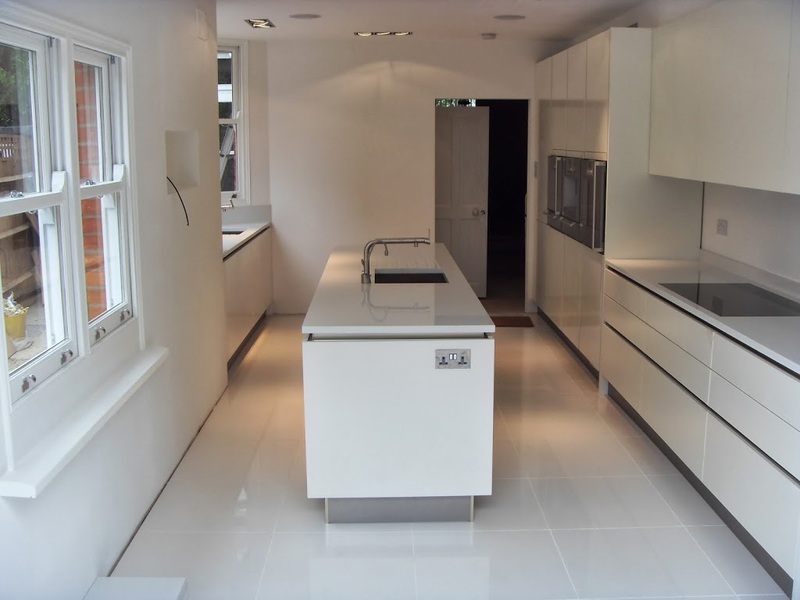 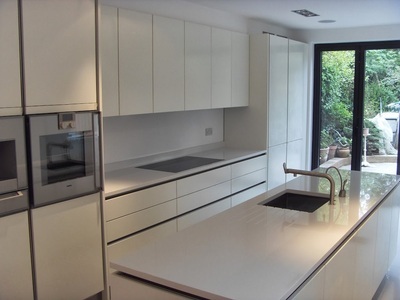 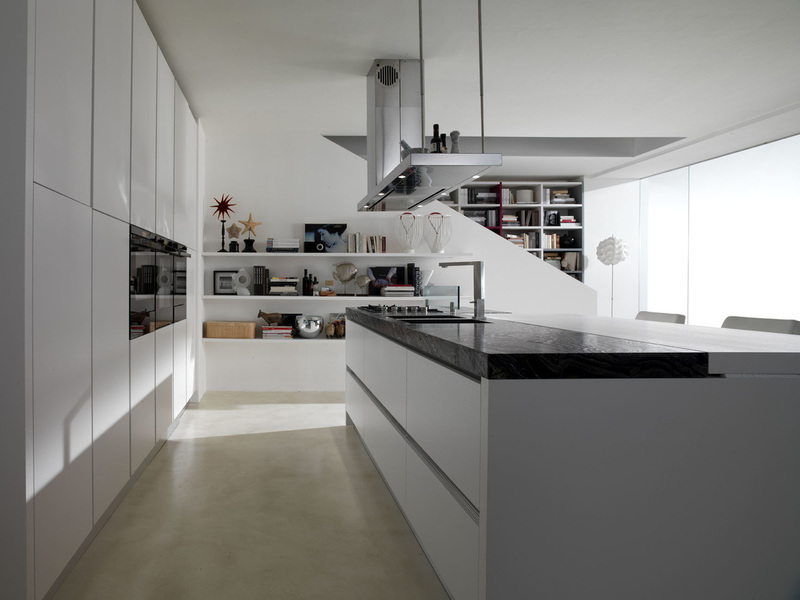 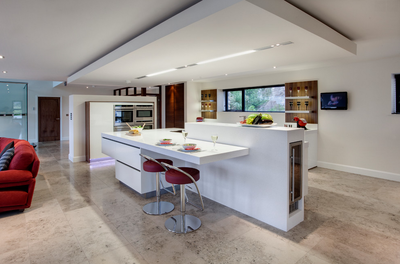 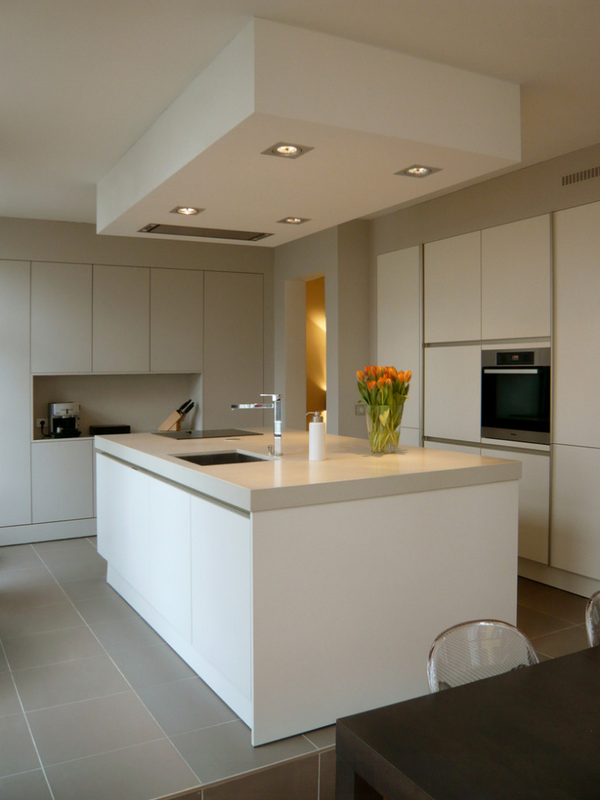 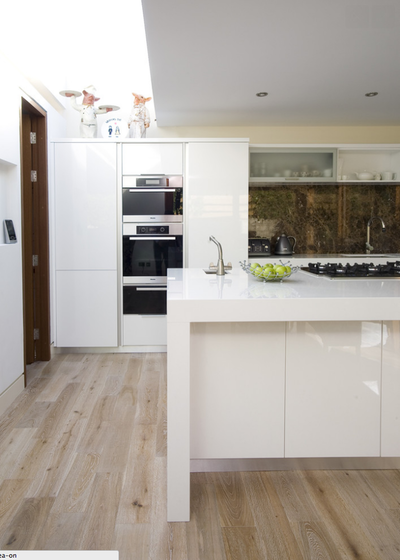 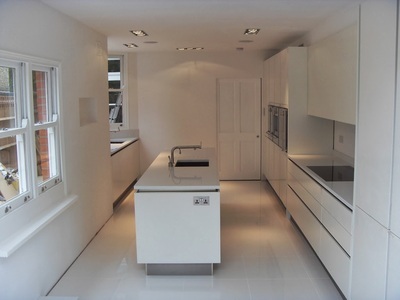 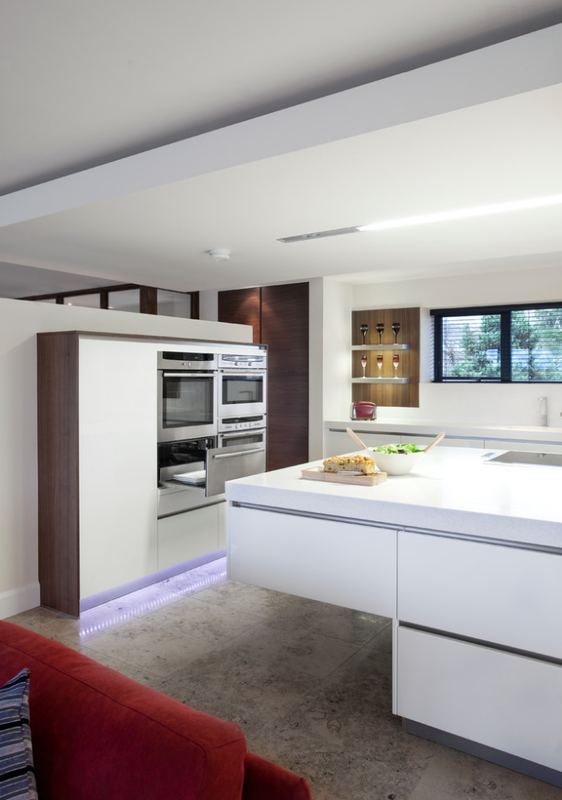 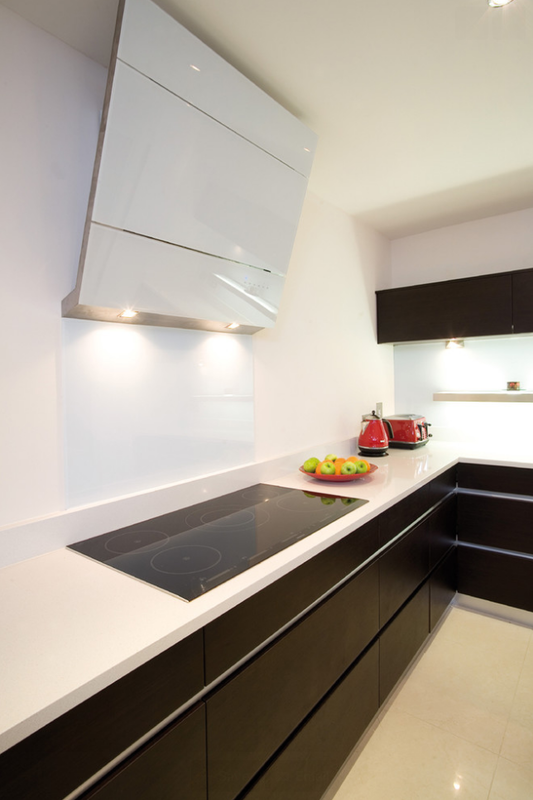 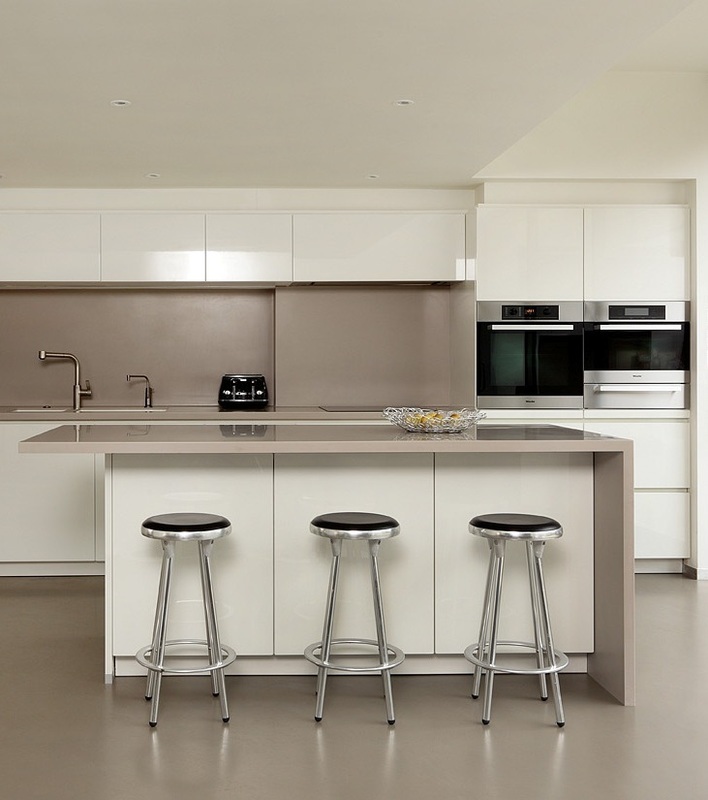 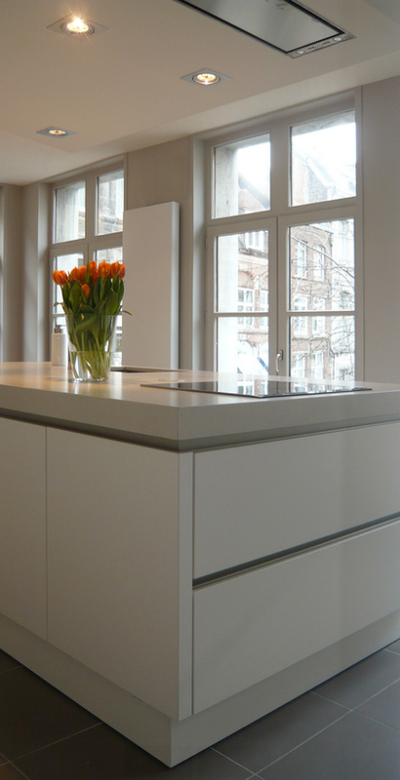 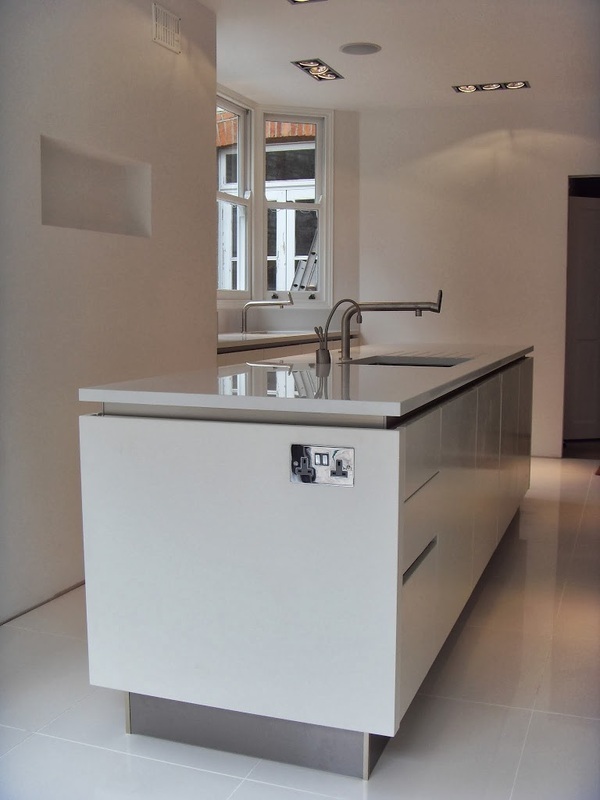 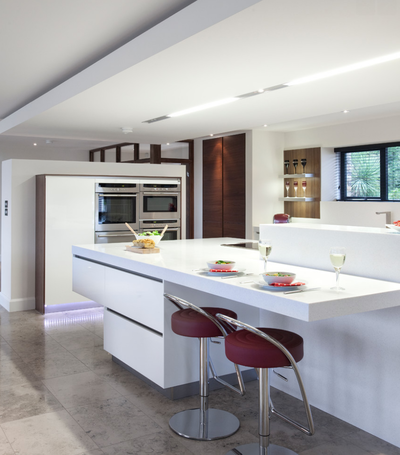 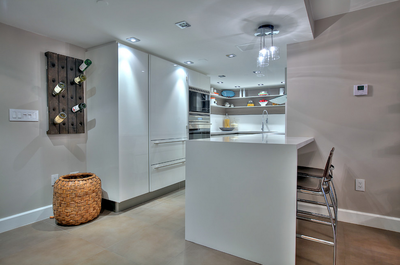 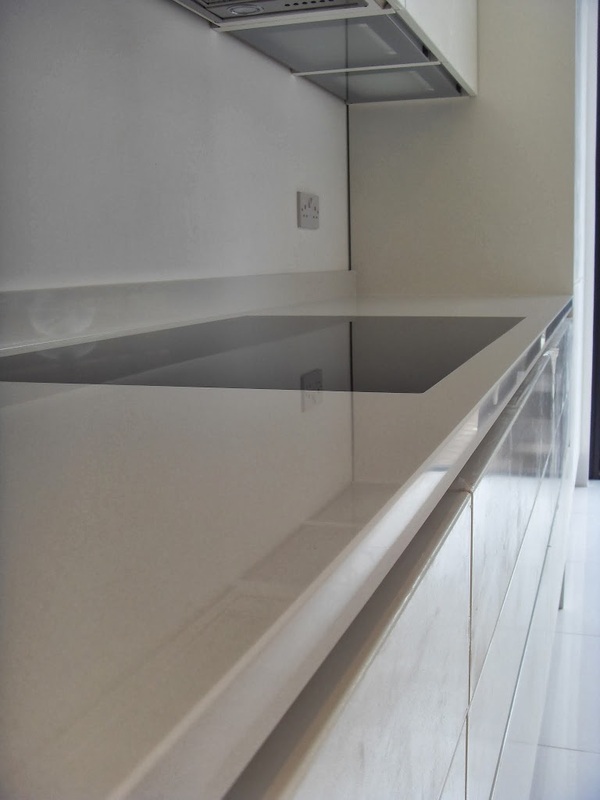 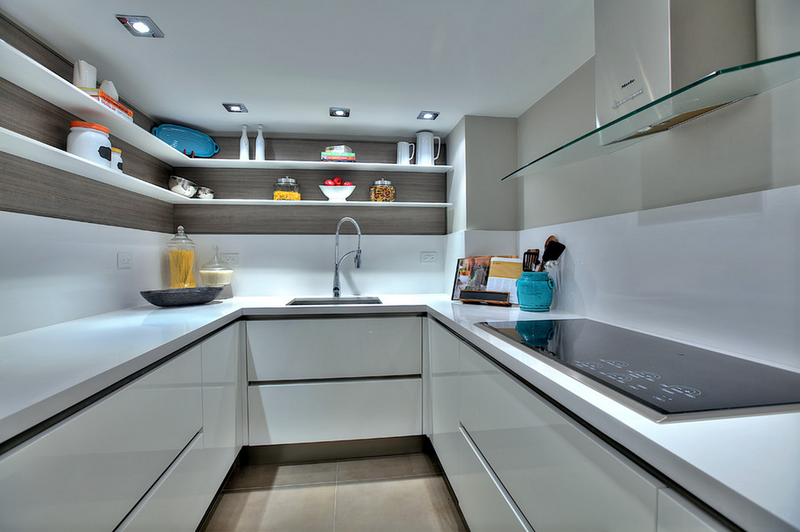 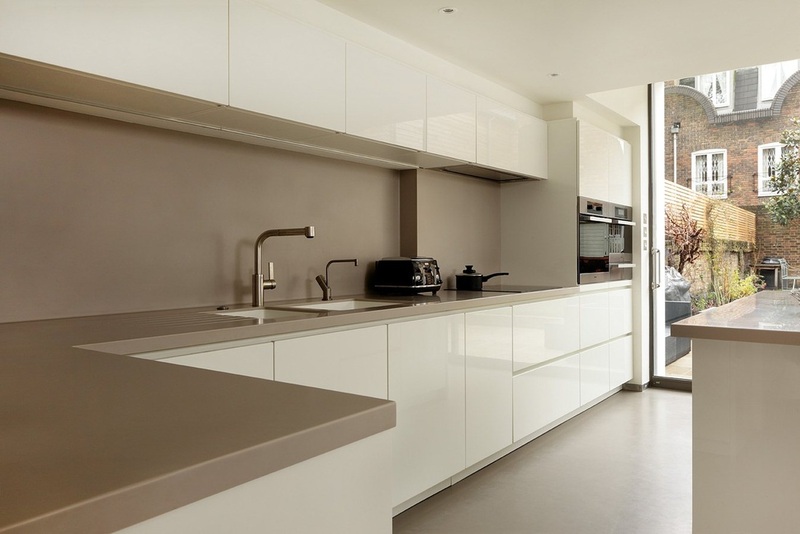 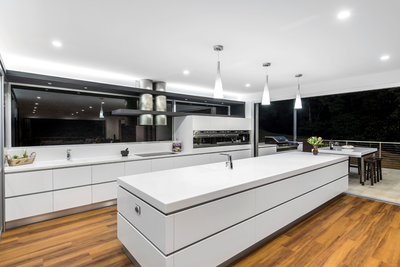 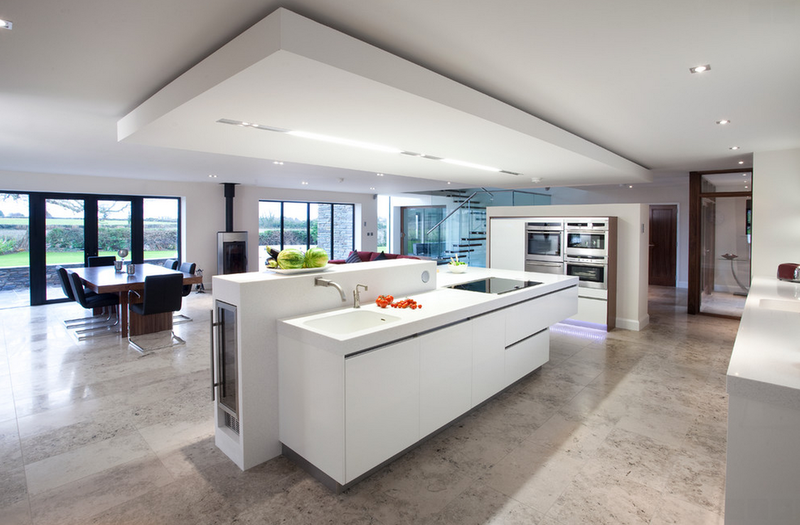 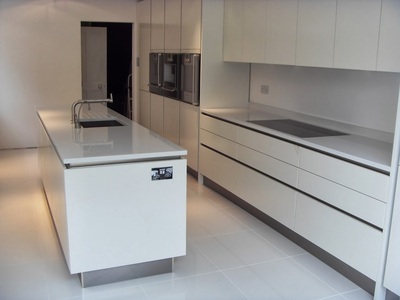 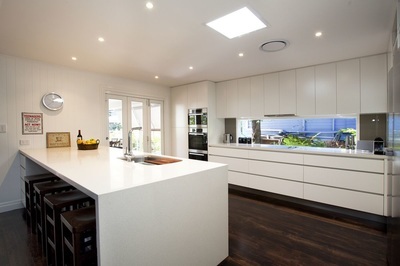 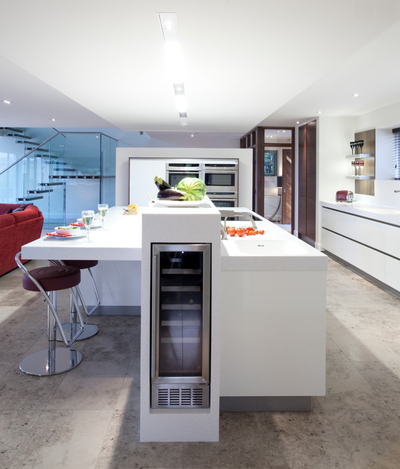 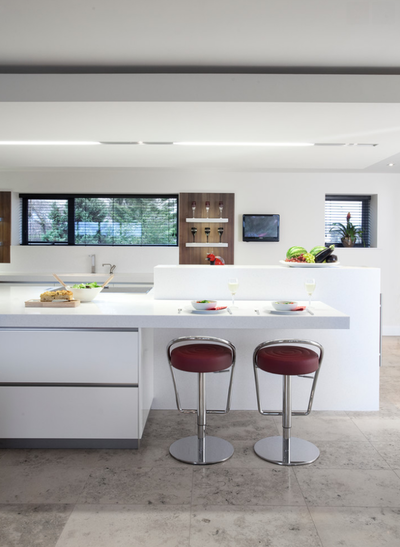 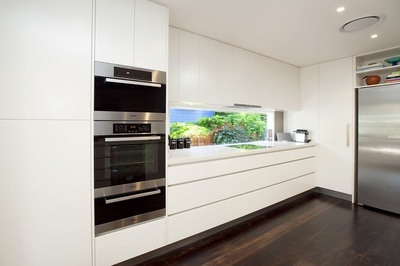 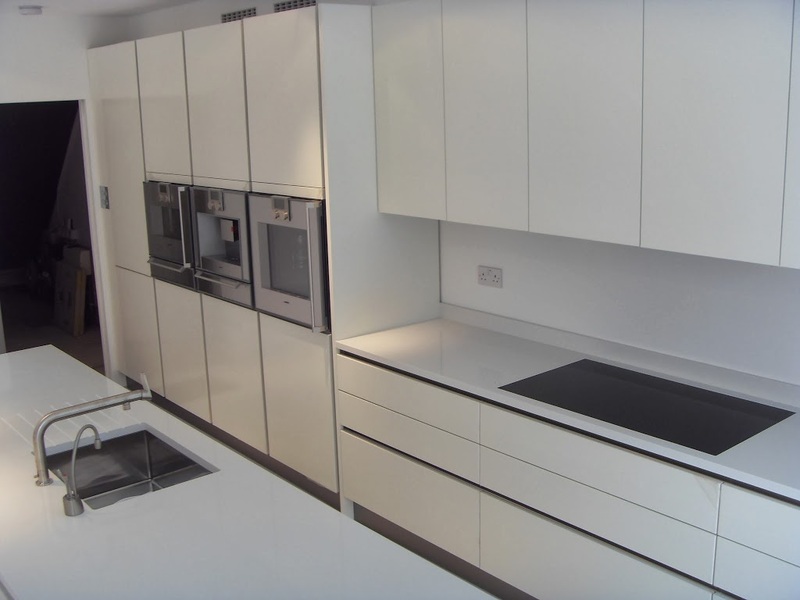 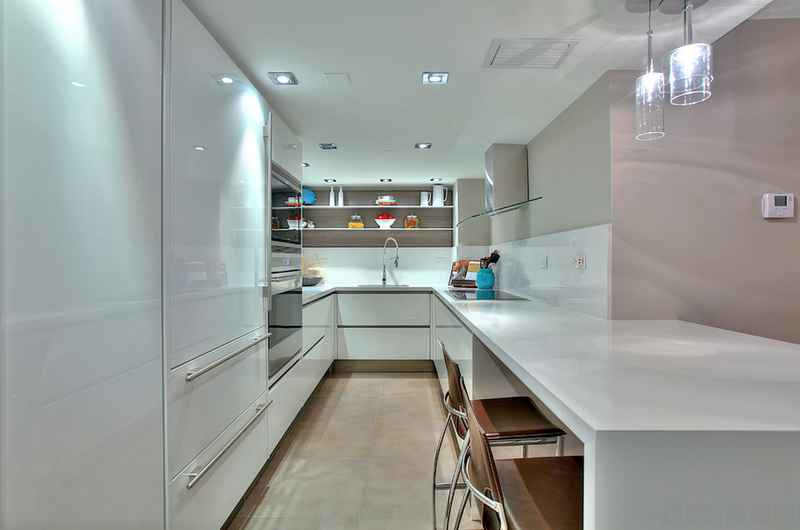 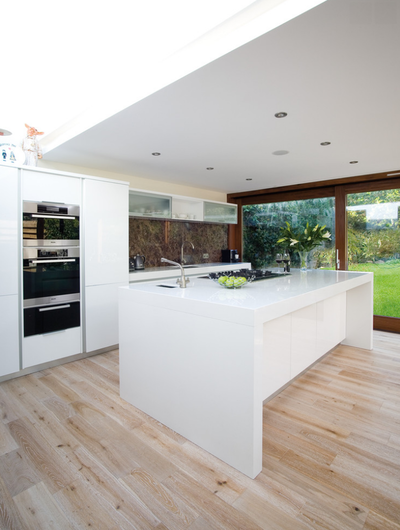 This example shows the white handleless kitchen cabinets matching perfectly with the 50mm thick white corian worktop. 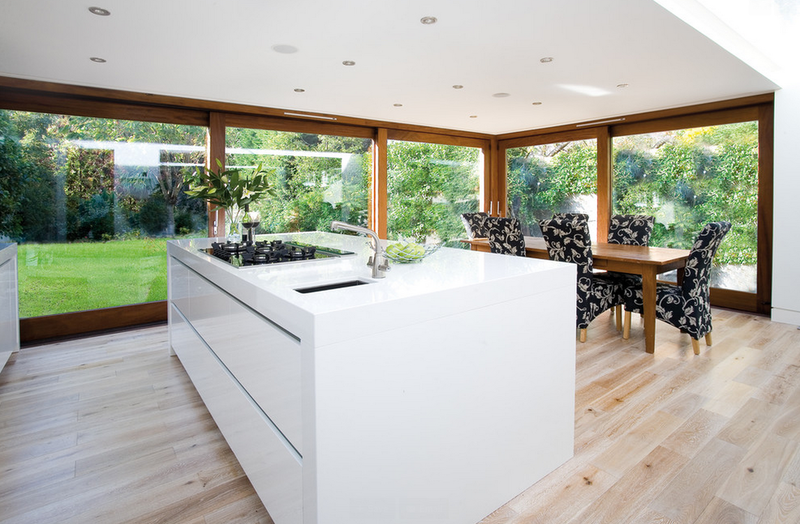 The varied walnut flooring really emphasises the clean crisp lines of both the island and cooking area. 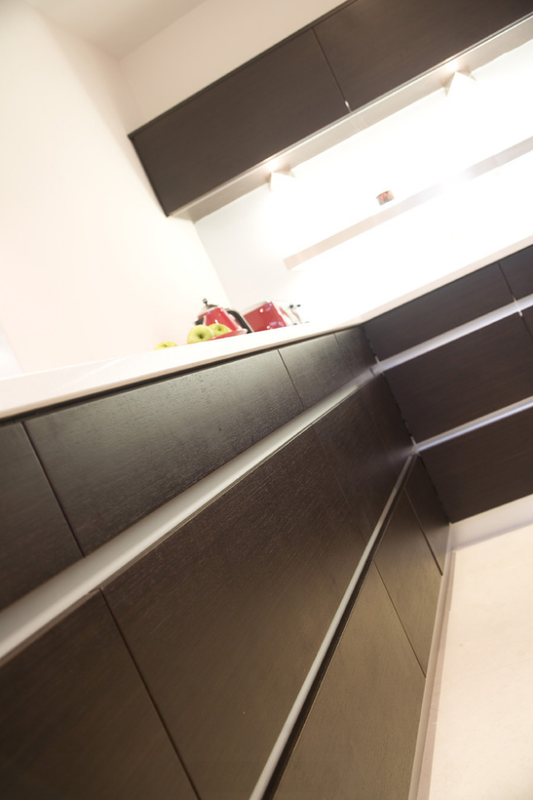 The wenge detail around the extractors adds another complementary colour detail into the room. White and wenge, one of our favourite handleless combinations. 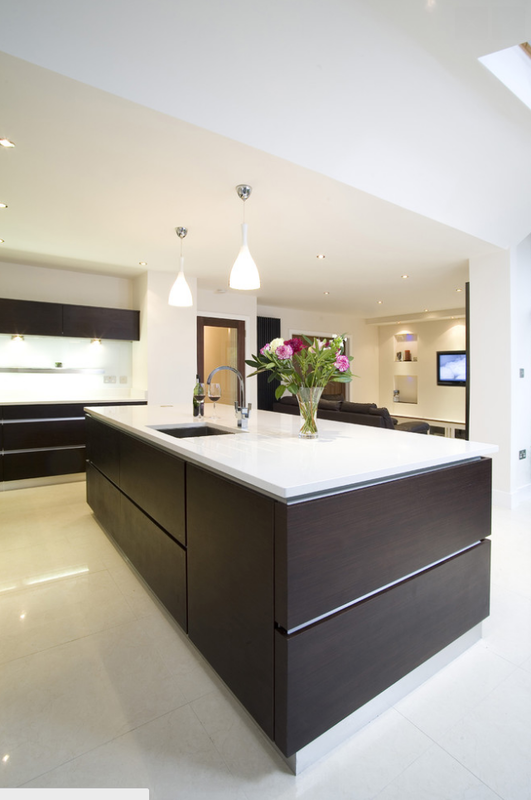 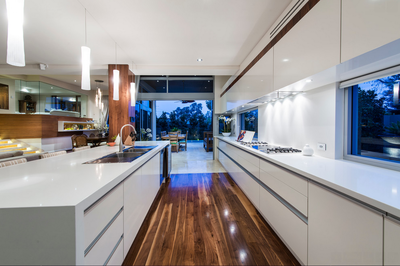 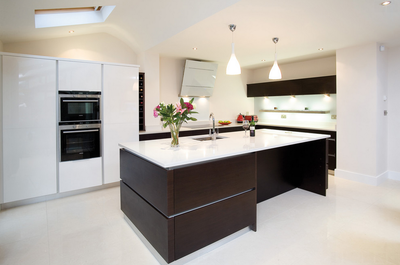 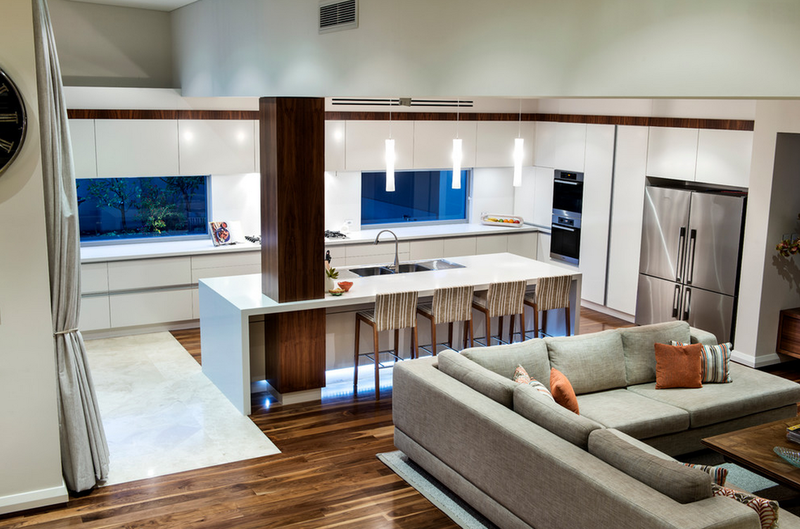 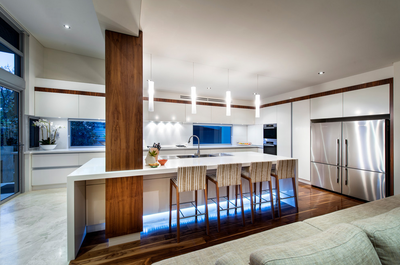 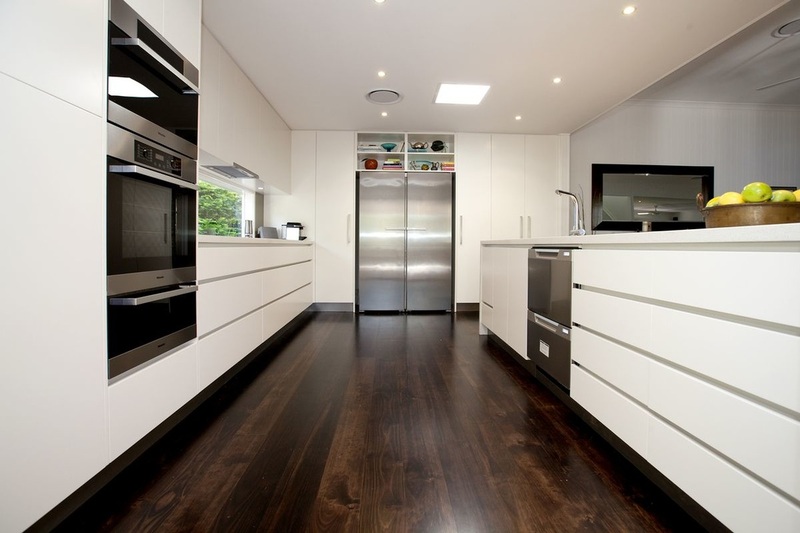 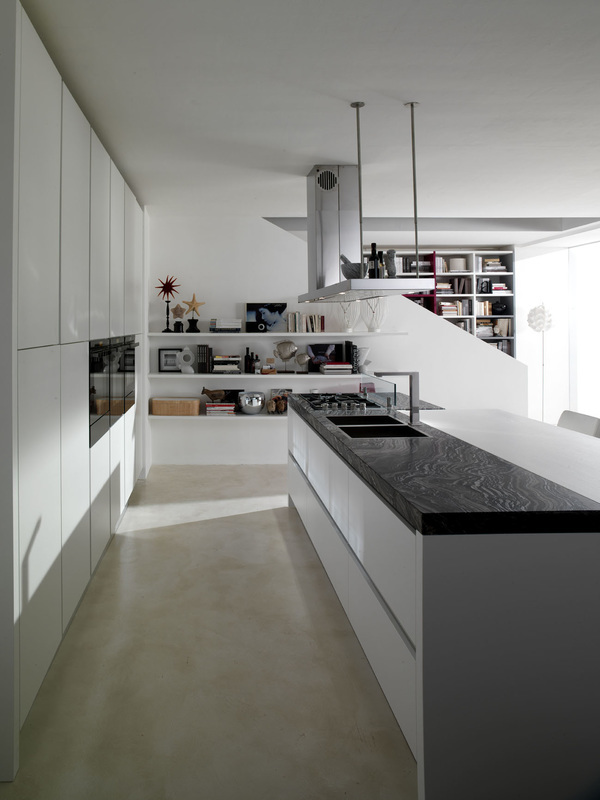 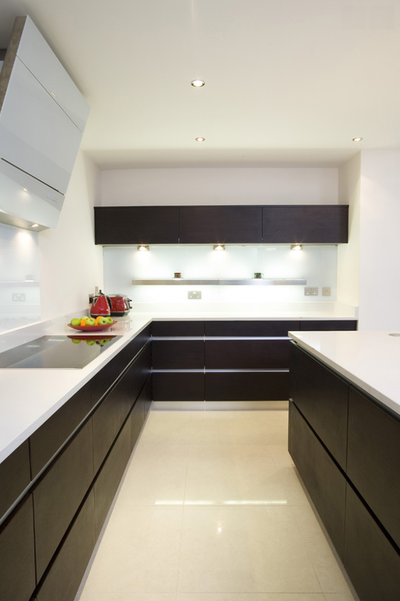 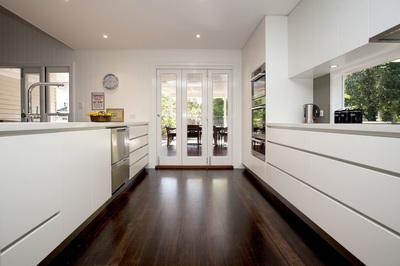 This example shows a bold island and base cabinets in wenge with white tall cabinets and white quartz worktop. 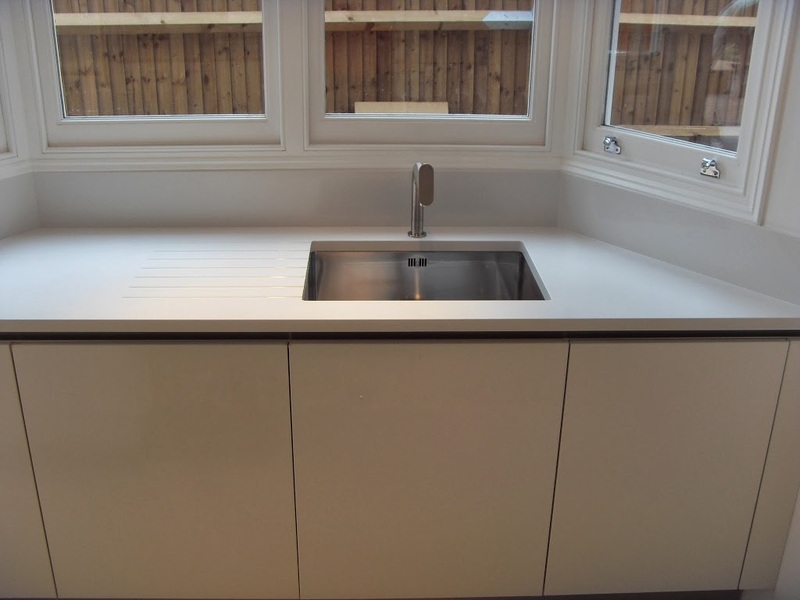 In this example, the client opted for a chunkier island worktop, with downstand cladding on the sides of the island instead of continuing the handleless kitchen rail all the way around. 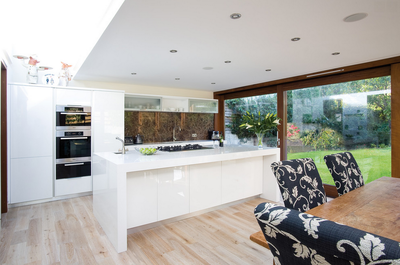 This also provides plenty of support for the overhang of the breakfast bar. 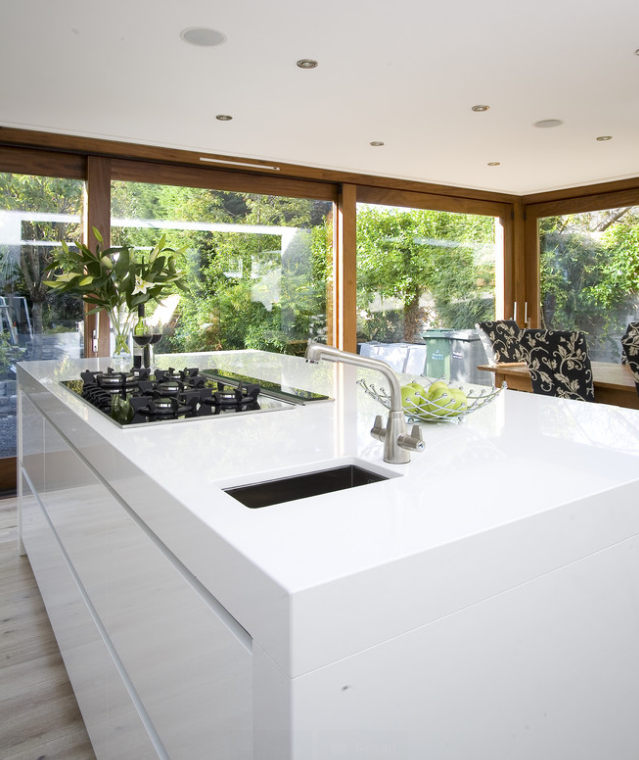 On the breakfast bar side of the island we have used standard doors with a push catch opening device so that no rail is shown. 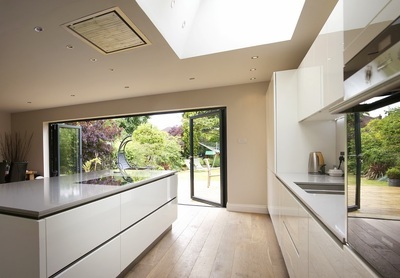 It would have also been a little awkward to reach under the overhang to open the door. 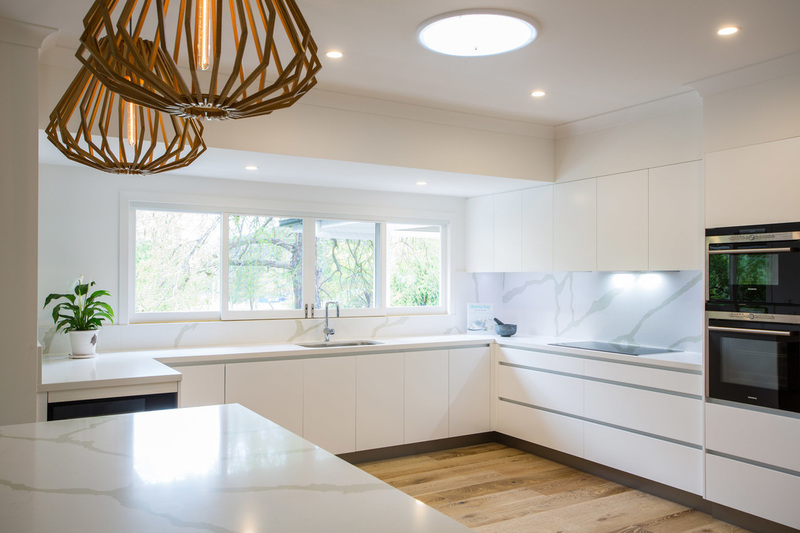 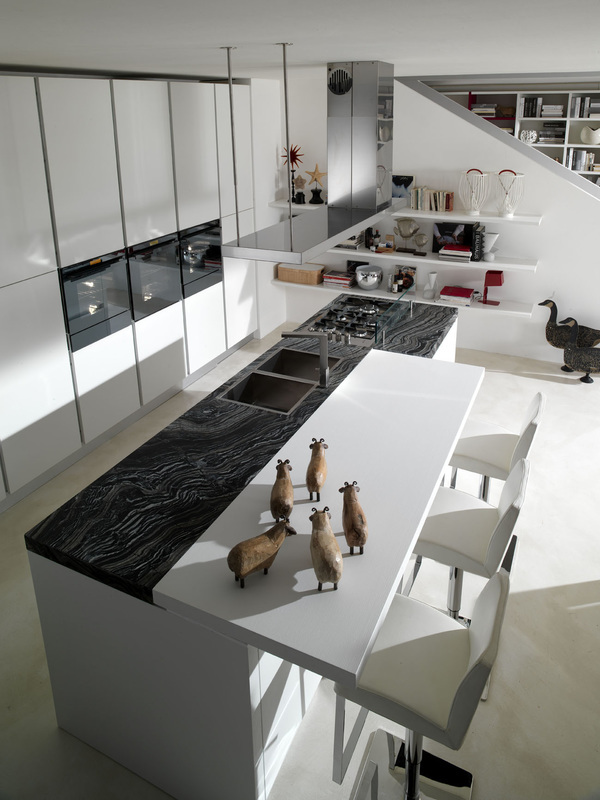 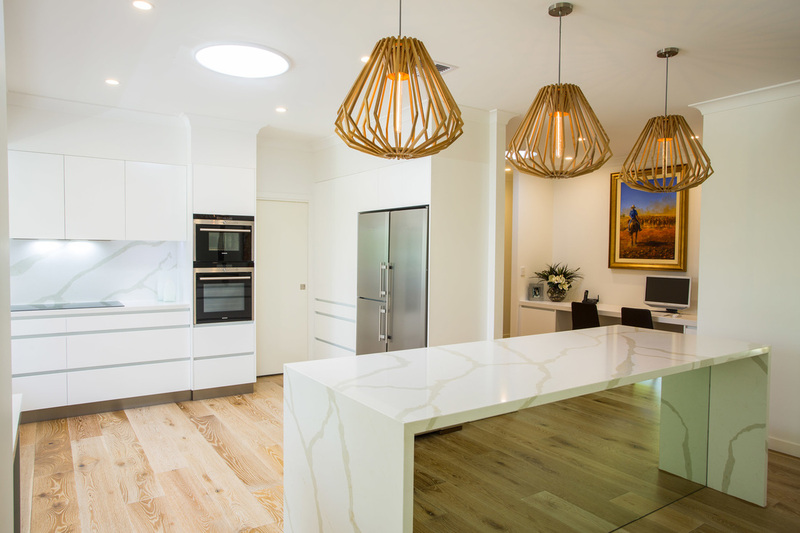 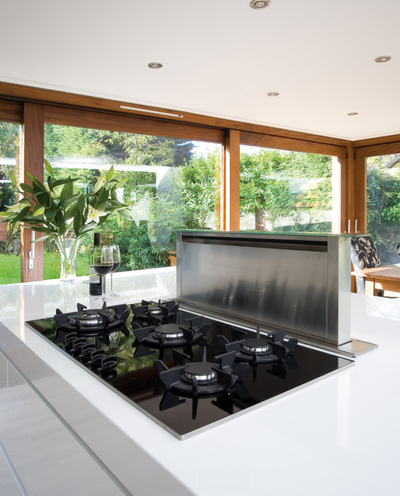 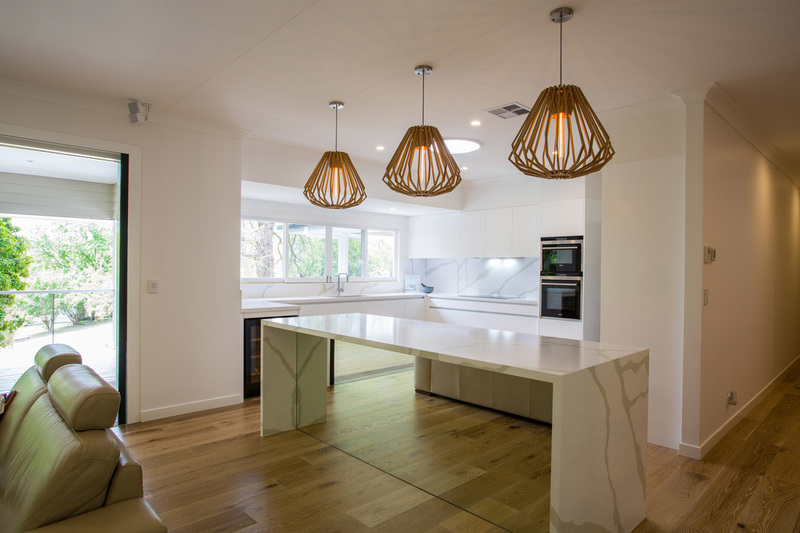 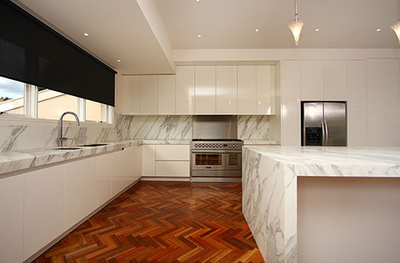 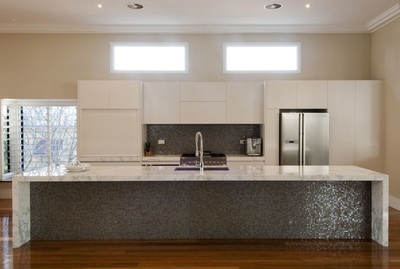 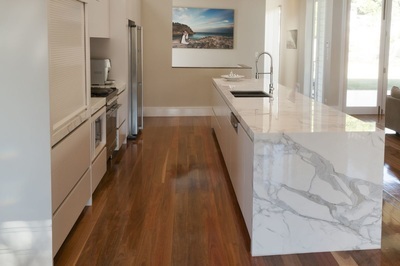 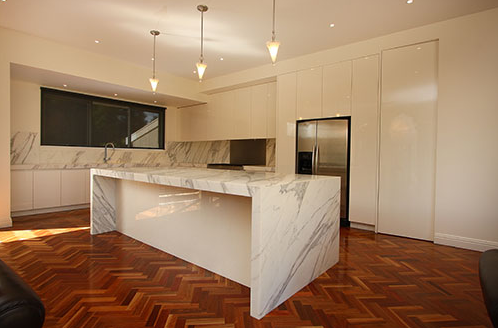 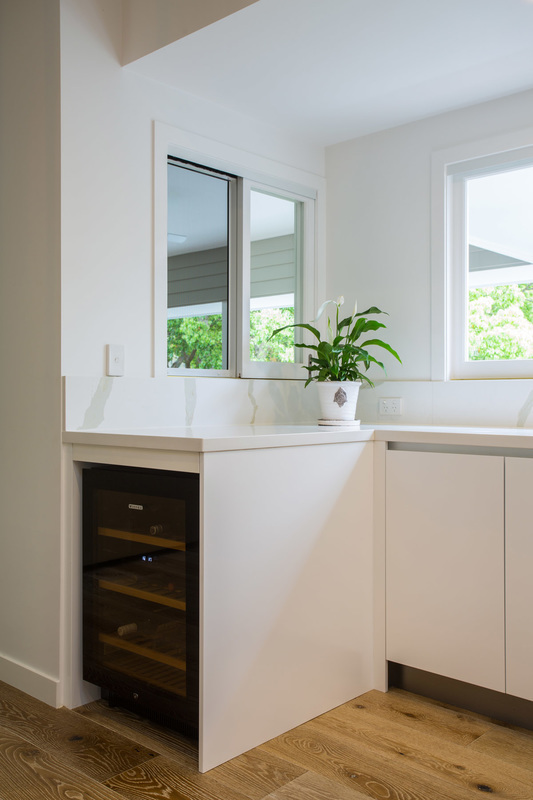 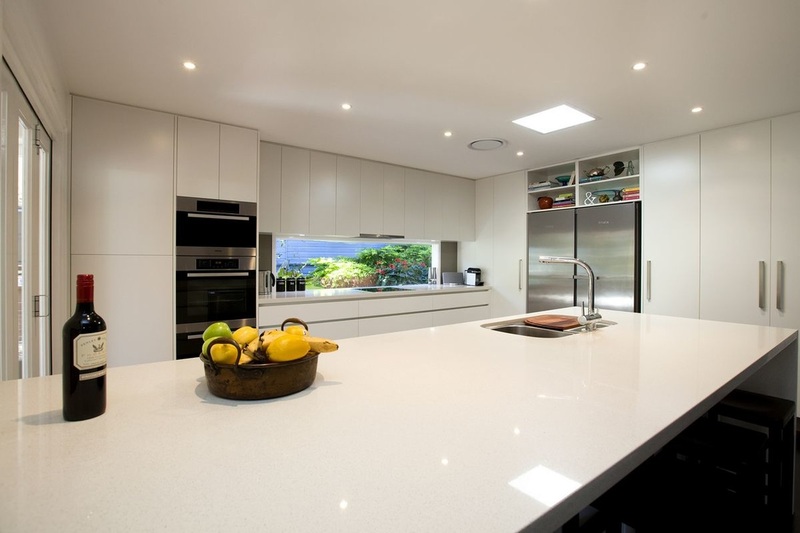 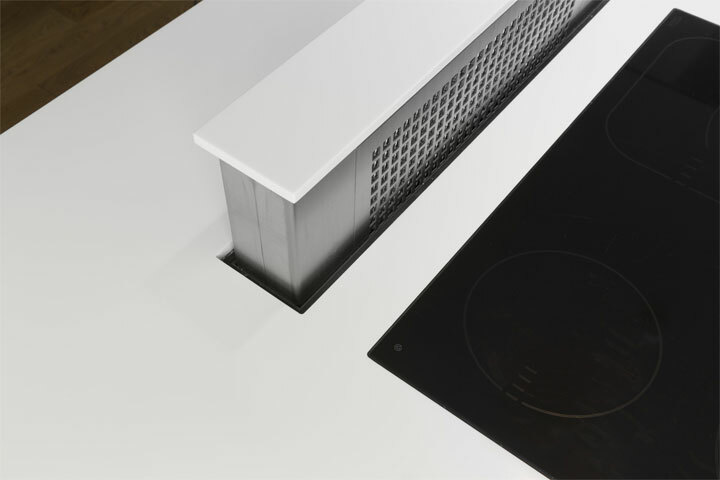 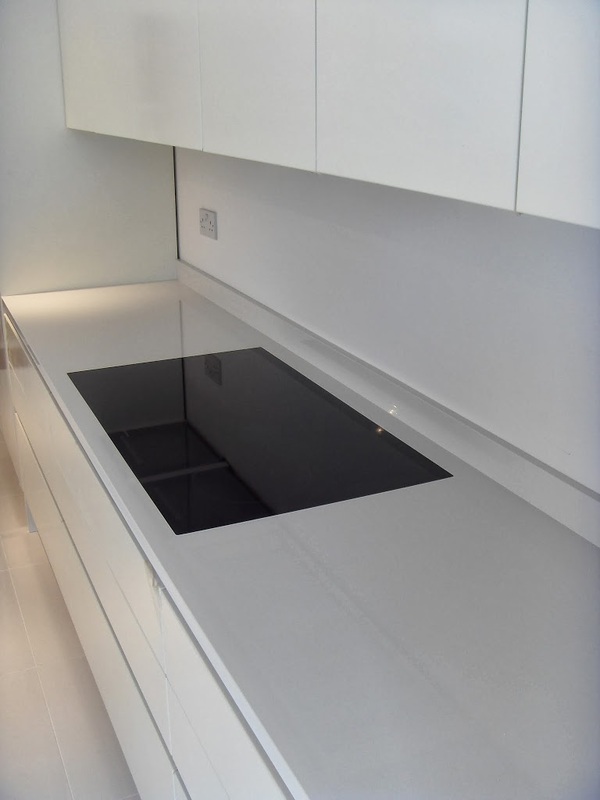 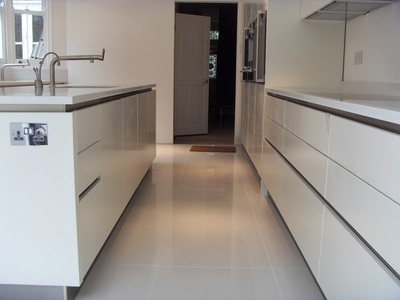 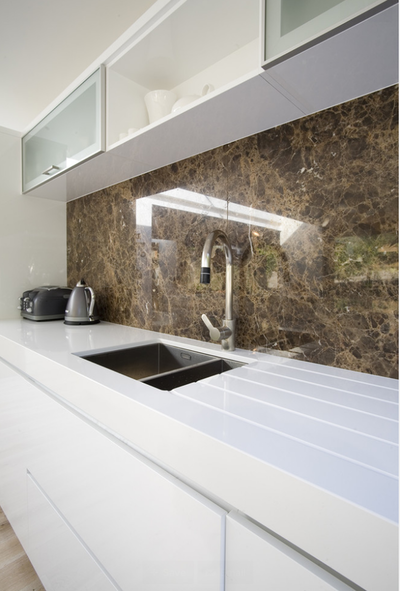 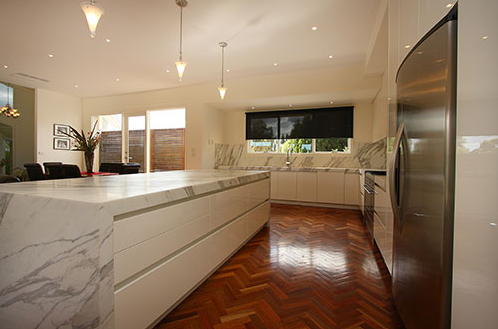 The 100mm thick quartz is actually built up from regular 30mm quartz. It is joined in a way that gives the illusion of being that much thicker. White handleless kitchen with walnut accent. 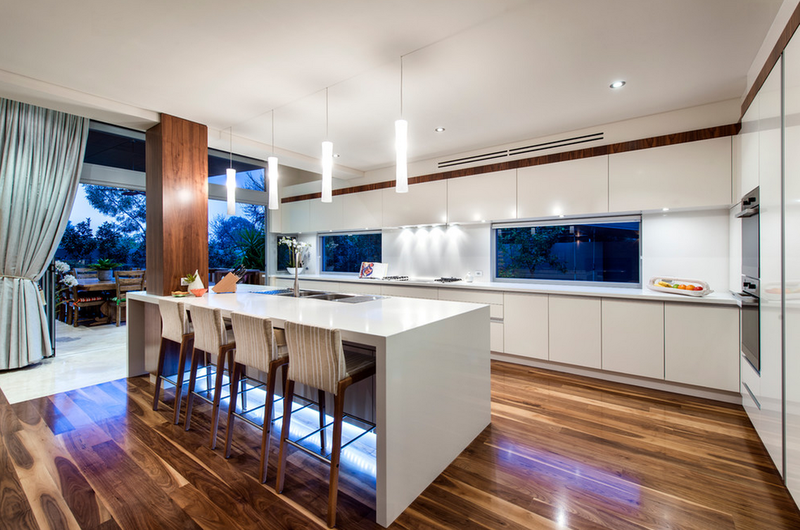 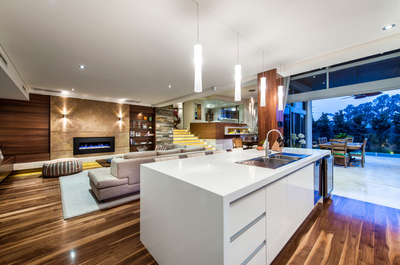 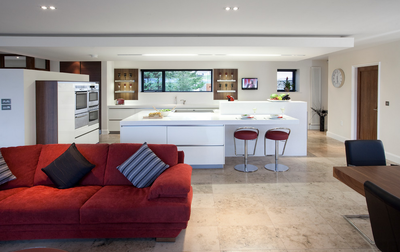 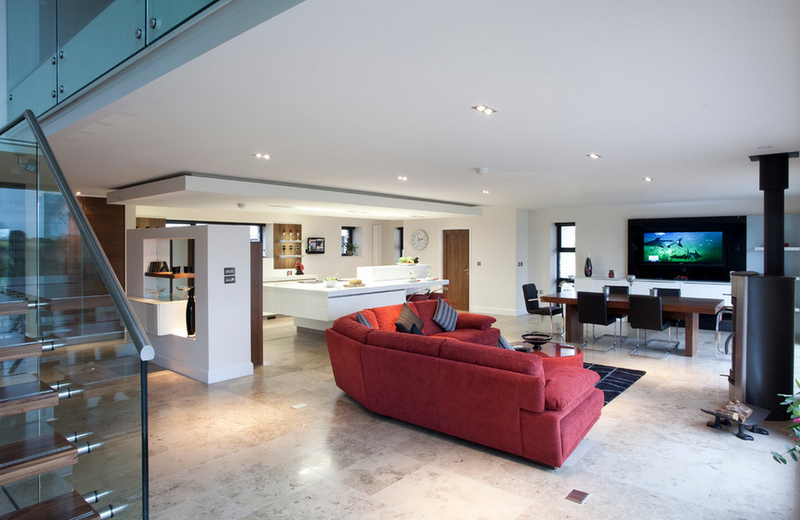 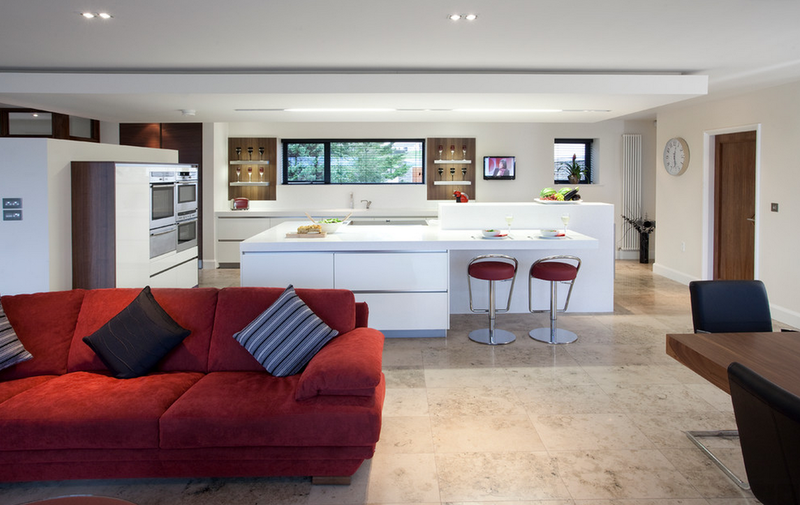 Another example of using a downstand on the island to provide a large seating area. 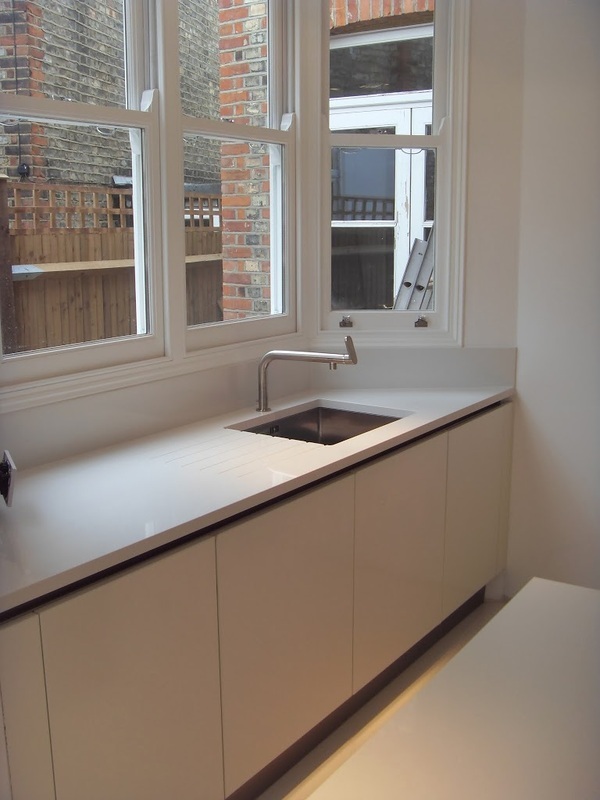 This time we have used 40mm white corian for the worktops. 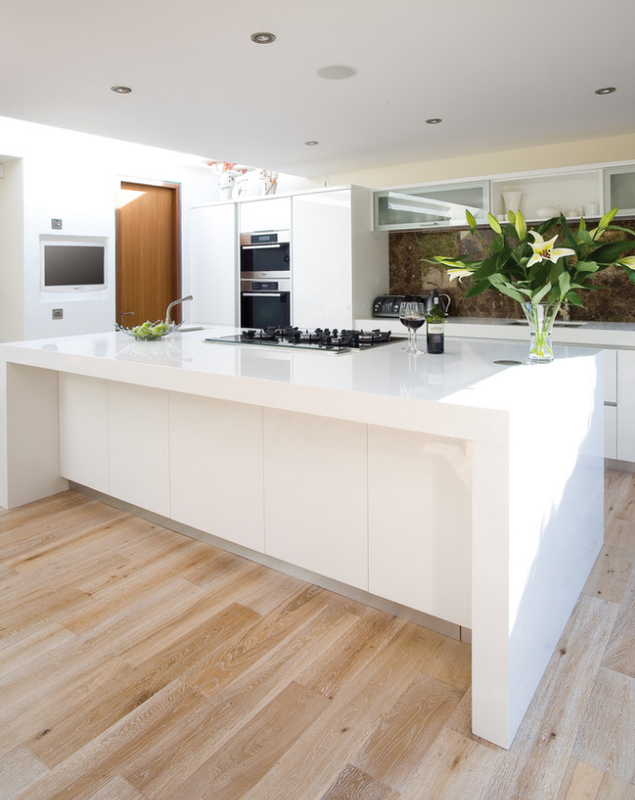 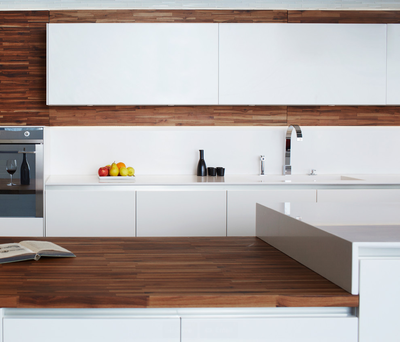 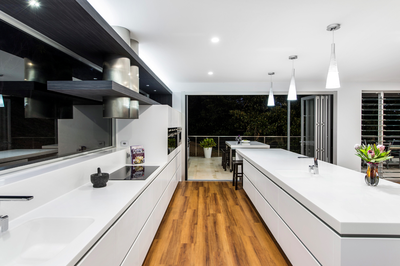 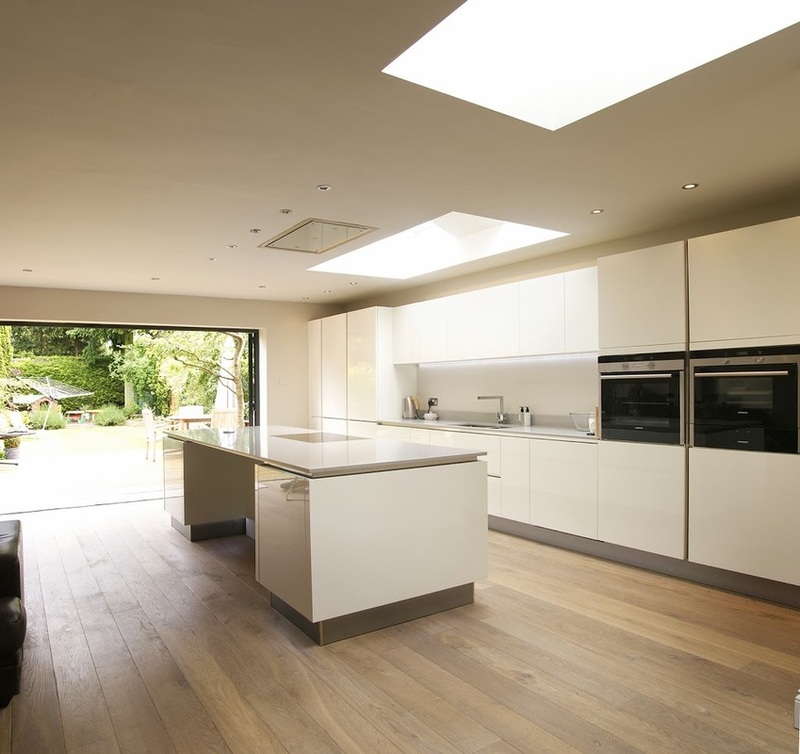 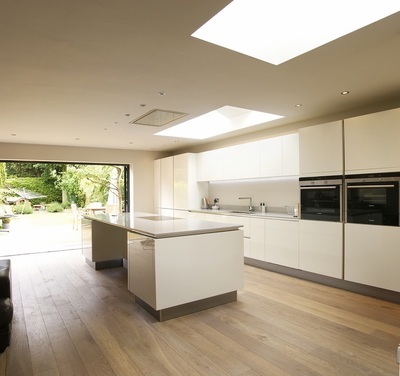 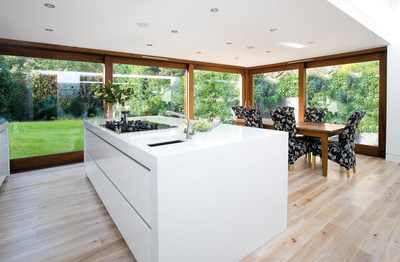 By keeping all the cabinets and worktops white, the walnut flooring is made to look even more striking. 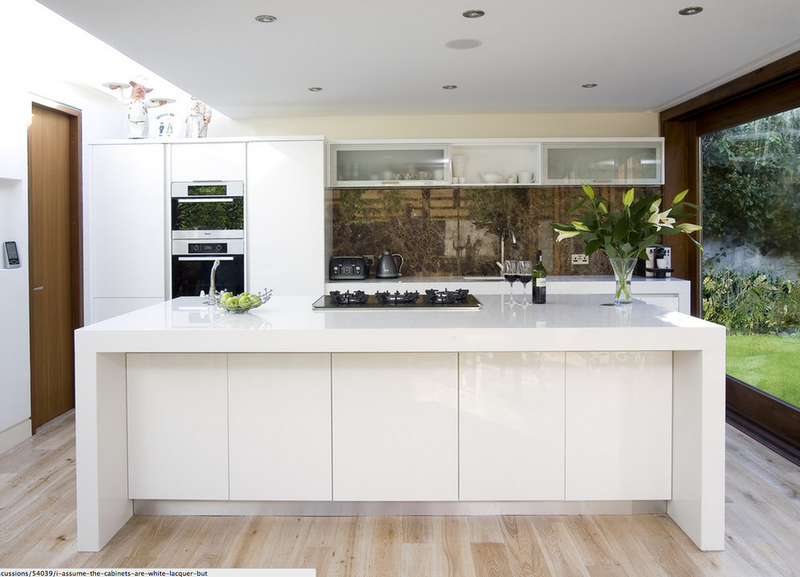 Walnut has also been used to clad the structural beam incorporated within the island. Keeping it simple. 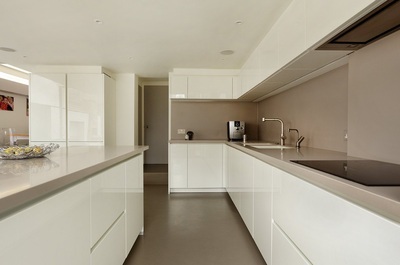 We have kept to just 2 neutral colours for the main kitchen. White handleless kitchen cabinets with grey floor and worktop. 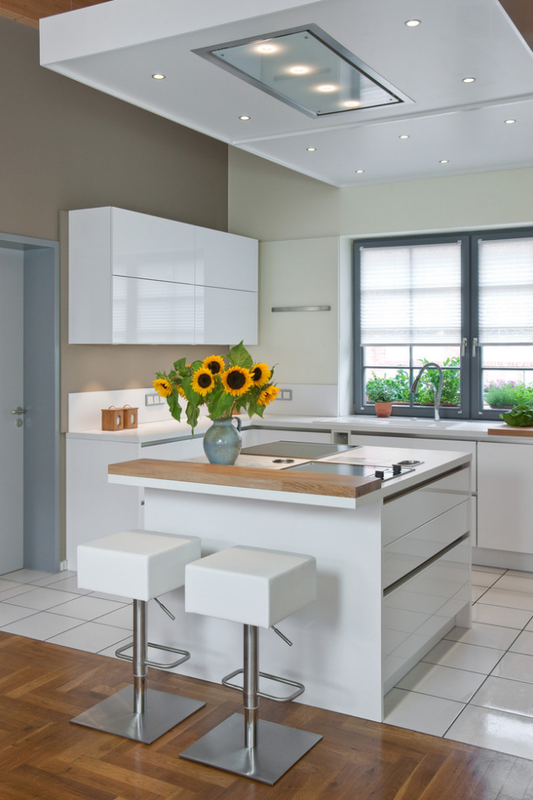 The lighting and a simple vase of brightly coloured flowers bring a splash of colour to the room.